Have you ever had a dream of being a creative architecture designer? Your dream will come true if you choose the right university to study. Unfortunately, you might have trouble searching for some universities, which provides the best education in your interested field. Architecture design refers to the actual design and layout of spaces. Architecture Design requires students who have a strong commitment and passion to challenge with the studies criteria. To educate architectural students for a successful future career to deal with planning, designing and constructing buildings, we have came up with the list of Top 10 Best Architecture Design Universities Rank in Asia based on several factors, with a main focus on student satisfaction and job market. Please acknowledge that this list is subject to change. The Tokyo Institute of Technology is one of the top national universities for science and technology in Japan, which has been established for more than 130 years. In recent years, the school is working hard in order to ensure the quality of education on the field of architecture design. The school also continues to encourage international leaders in the fields of architecture design and distribute to the improvement of association through many means such as its research concentrating on resolutions to global concerns. Chinese University of Hong Kong is known as a top university in Hong Kong and Asian. This university aims to encourage students with general knowledge on the architecture design as well as perception for life. The school offers many flexible courses that make the student easy to broaden their knowledge on the field with Multilanguage. There are also special course on general understanding to enlarge students’ observations and improve their ability to beat the challenges of modern world. The college system also enables student to have a good interaction with teachers and alumni. It is a great time to discover the new opportunities in China since it is now becoming a gradually significant country for architectural design. As you that Japan is famous for its excellent of technology as well as the development of architecture in the country. The University of Tokyo was established since 1877 as the first national university in Japan. For more than a century experience, this school has won many Nobel Prizes for its outstanding system of education. As a leading research university, University of Tokyo provides courses in all academic programs, especially the architecture design at both graduate and undergraduate program. The university aims to engage its students with an excellence and diversity of academic environment ensuring opportunities for both skill and the achievement of professional knowledge and academic development. As a leading university of a higher education in the Gulf, AUS is well known for its excellence academic achievement on the field of architecture design, which was founded since 1997. This school offers various bachelors program especially the architecture design that allows students to broaden their perception on their major and ready to challenge with the competitive society. Students are guaranteed to get the best system of education through many skillful professors and also the internship opportunity in various industries factors. The Limkokwing University of Technology is very famous in the Southeast Asia for its outstanding academic program in the field of architecture design. It is one of the leading design and multimedia universities in Malaysia, which is recognized for its strong ties to industry. The university offers architecture programs through the faculty of Architecture and Built Environment. In addition, students are engaged to have a well understanding of the course through many professional lecturers and active staffs in the university. The School of Planning and Architecture is considered as one of the leading universities, which offers specialized training at various levels on the field of architecture design since 1941. The School encourages students with the excellence academic program ensuring the high standard of teaching. This school has always been in the lead in delivering education and research to new level of knowledge. In recent years, India has become famous universal for its incredibly skilled and intelligent engineers. 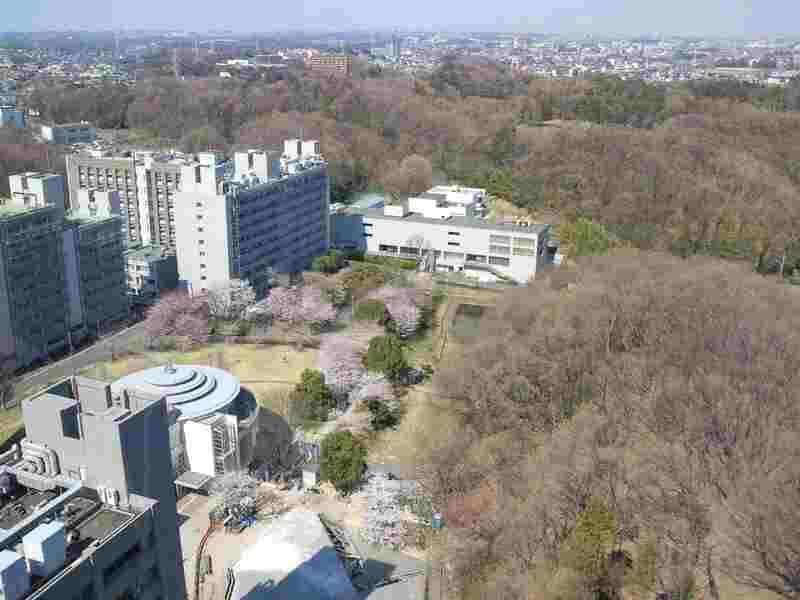 In Japan, there are many universities which provide the best education, and Kyoto University is one of them which is the second eldest Japanese university and one of the highest ranked universities in Asia. This university continues to actively deliver its excellence academic program through the courses. If you are looking for a good university in Kyoto, this one will suit you and it will be a great opportunity for you as it provides you with the outstanding program on architecture design in the beautiful city of Kyoto in Japan. The Kyung Hee University is very well known for its well-balanced educational environment with the excellence academic program on the field of architecture design. This university has a famous program compared to other universities. In addition, this school has various courses, which are famous according to the international criteria to instruct students as a professional architectural designer in the future. Moreover, students will be allowed to improve their skills in the design through a rigorous arrangement of design studios. The Technion University is located in Haifa, Israel, which was founded since 1912. The university offers degrees in the field of architecture. This school is well known for its high rate of employment among its alumni. Most graduate students are working in the design field and construction companies and various architectures related companies. Because of its dedication to excellence system of education, this school is working harder to adapt to the changing demands of an energetic profession. The University of Tehran is recognized as the symbol of leading education in Iran. Providing the best education, this school requires students to pass its entrance exam, which is very challenging and competitive. Tehran University offers students with the excellence program through many courses conducted by many professional instructors in the field of architecture design.